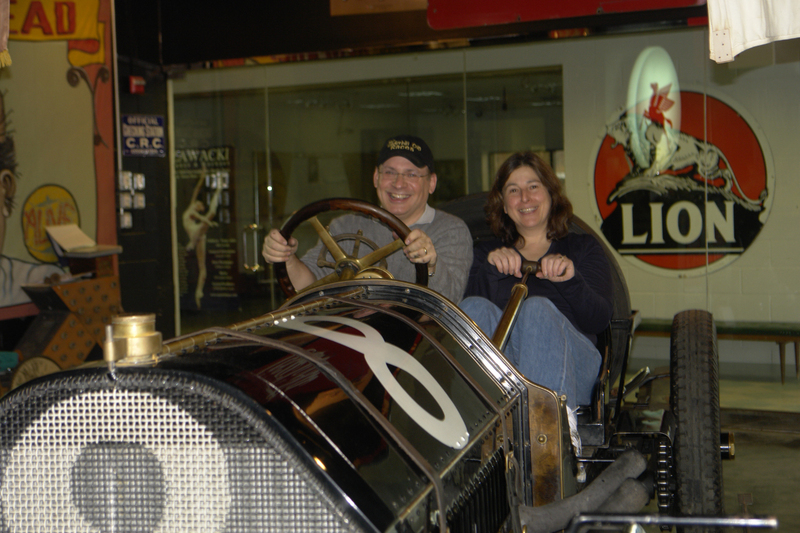 The restored 1909 Alco-6 Black Beast Racer arrived on Long Island on Tuesday, January 13, 2009. The proud new owner in front of the restored Alco Black Beast Racer. Driver Howard Kroplick and mechanician Roz Kroplick enjoying the car. Of course, it’s wonderful to see all the great photos, both old and new. But, to see the car in person is really jaw-dropping. It’s both exciting and difficult for me to imagine No. 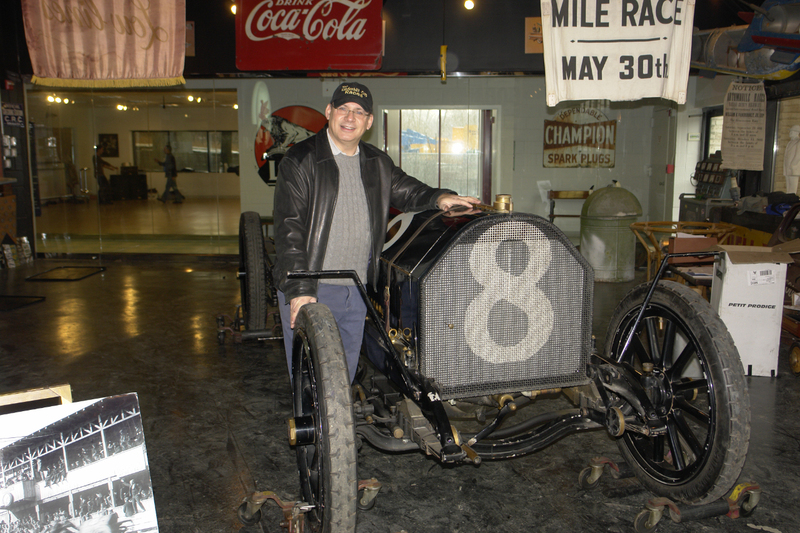 8 tearing along a 100-year old road at speeds that we don’t drive today! Truly an amazing vehicle! Great work in bringing an historic - and important - piece of Long Island back home! This looks great! Is the car now located at the Vanderbilt Museum? Terrific memorabilia creating a neat environment. My wife and I just got back from Lumber Rd and the car looks great. Too bad No 16 isnt still on the Island what a picture that would make. The added feature is the way the car is displayed..car stuff all around. Again congrats. The “Black Beast” will be temporarily can be seen at its current location at 55 Lumber Road in Roslyn. I have begun discussions with the Vanderbilt Museum to find a home for later this year. New Owner! Congratulations Howard! Will we see this storming the access road at the Nassau Museum next year? Thanks so much for the positive comments! Much appreciated!! That is some fine piece of automotive machinery!